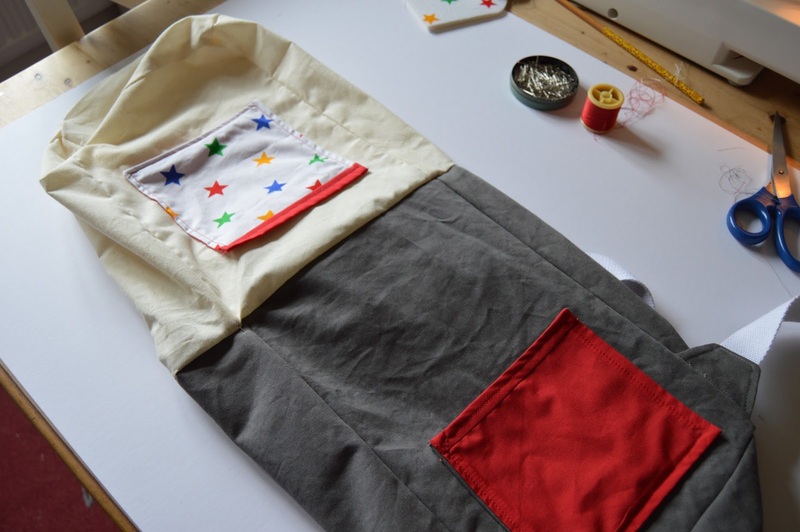 Slightly later than planned, here we have part two of my sew along toddler backpack! 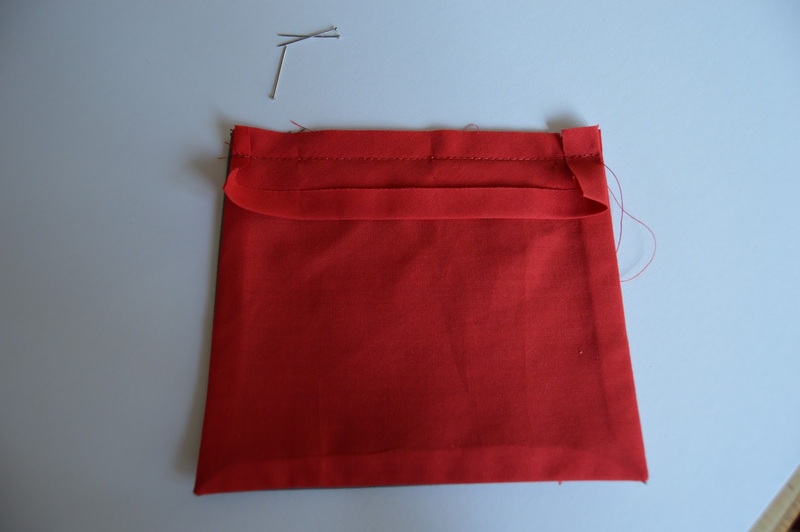 First, we're going to sew the outside pocket, sewing along three sides and leaving one long edge open for turning. When I cut my pocket piece, I drew out the measurement of the finished pocket, then added a seam allowance, you if you've done the same, you can sew along the drawn line. 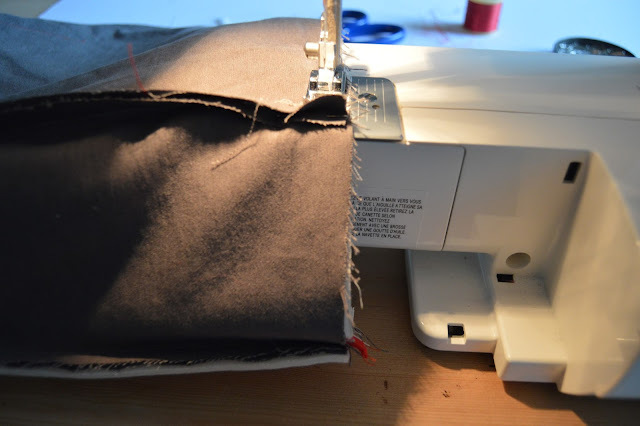 Starting on one of the short edged, sew a few stitches, then add a few reverse stitches to secure the thread, before continuing on to the corner. When you reach the corner, make sure the needle is down. It should be as close the corner as possible so if you need to you can turn the hand wheel a few times towards the end rather than using the pedal to keep things accurate. With the needle down, lift the presser foot and turn the fabric 90 degrees. 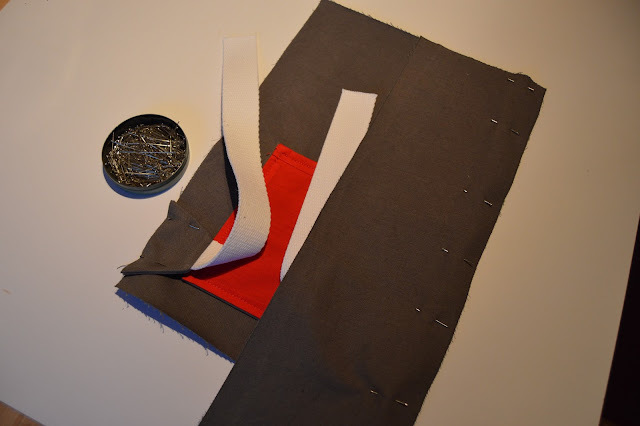 Lower the foot again and you should now be in the correct position to sew the long edge without having to cut the thread and start again! Do this again for the second short edge. Turn the pocket piece through, and iron flat. I like to use a chopstick to make sure the corners are turned through nice and sharp. Now, time to bind the open pocket edge. There's probably a 'right' way to do this part, but I'm going to show you the way I do it! Cut a length of binding approximately 3/4cm longer than the long edge. Open the binding out and lay it right side facing against the outside of the pocket, lined up the the edge and with a slight overhang at each end. Pin the binding in place. 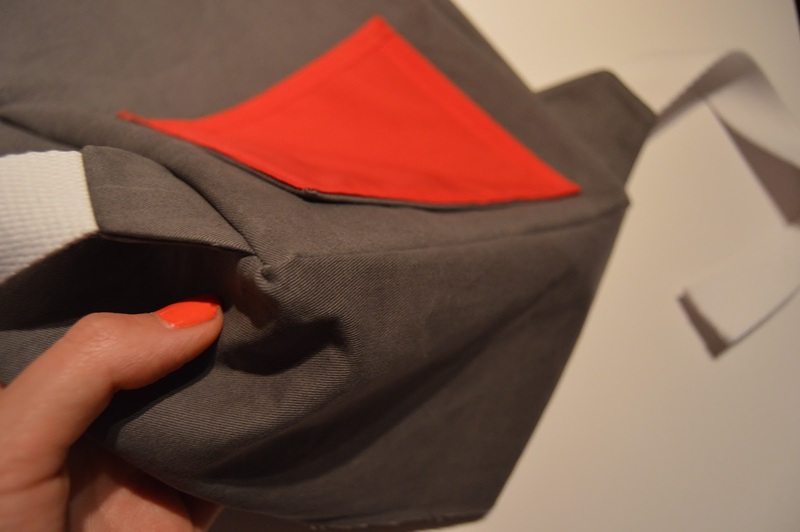 Fold the section that overhangs over so the folded edge lines up with the side of the pocket. You can pin this in place, but I find it too fiddly, so tend to just put it under the machine foot and re-jig if needed. 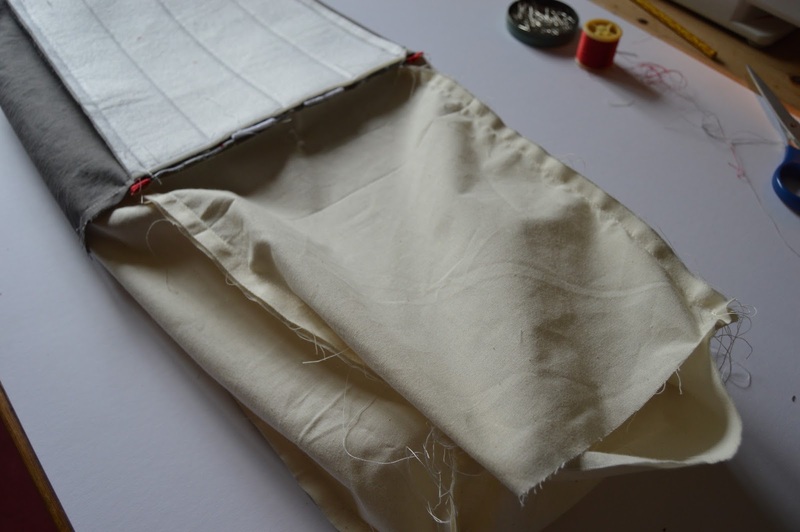 Sew along the fold of the binding, stopping an inch or so before the end. 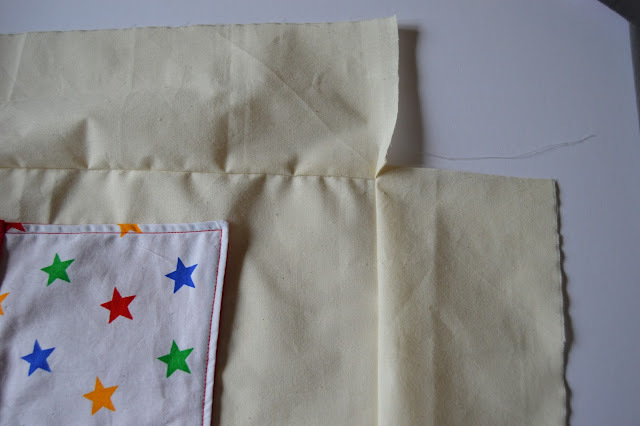 When you near the end, do the same thing - fold the section of binding that remains over so the folded edge lines up with the side of the pocket then continue sewing to the end. Unfortunately I don't have photos for this part so hopefully it makes sense. 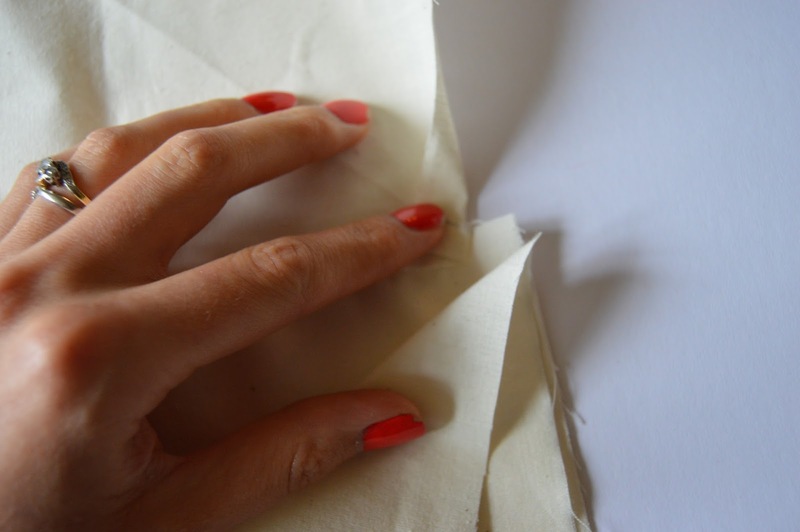 Fold the binding over to encase the open edge and press with the iron. Pin in place and sew. I like to sew from the front so I know the part that will be seen will be as neat as possible. Also, rather than using forward/backwards stitches to secure, I like to cut the threads generously at the end, then pull both through to the back and tie off to keep the front looking as neat as possible. 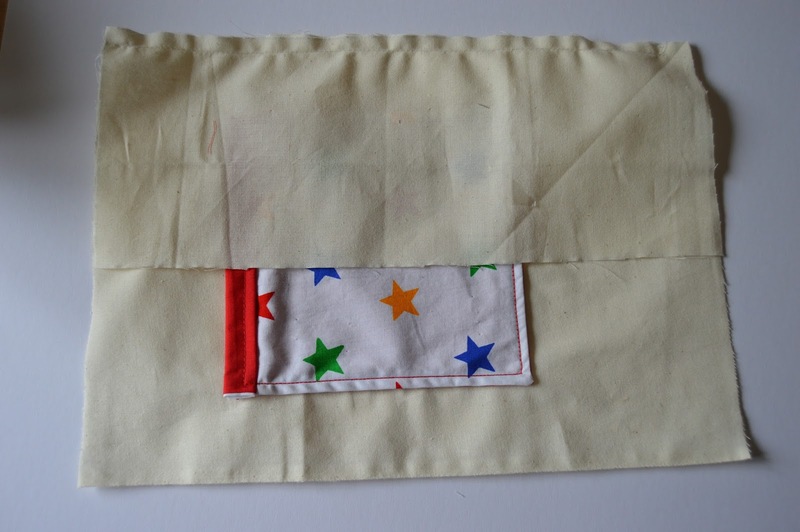 Position the pocket on to the right side one of the rectangular bag sections, making sure it is central and level, and pin it in place. Sew along the three edges (I like to use the edge of the presser foot to keep things straight), leaving the bound edge open. For security here, as the corners will be subject to the wear and weight of things in the pocket, I would secure with a few forward/backward stitches. 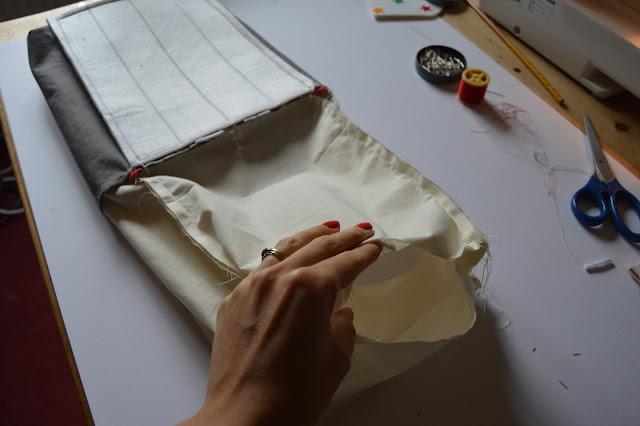 Repeat the above steps for the internal pocket. I positioned mine slightly higher as I wanted it to be close the the opening of the bag. If you wanted, you could divide the pockets up into sections for things such as pens/pencils by topstitching a few extra rows of stitching along them, just measure and mark the dividing lines you need with chalk or a fading fabric pen, and stitch along the lines. 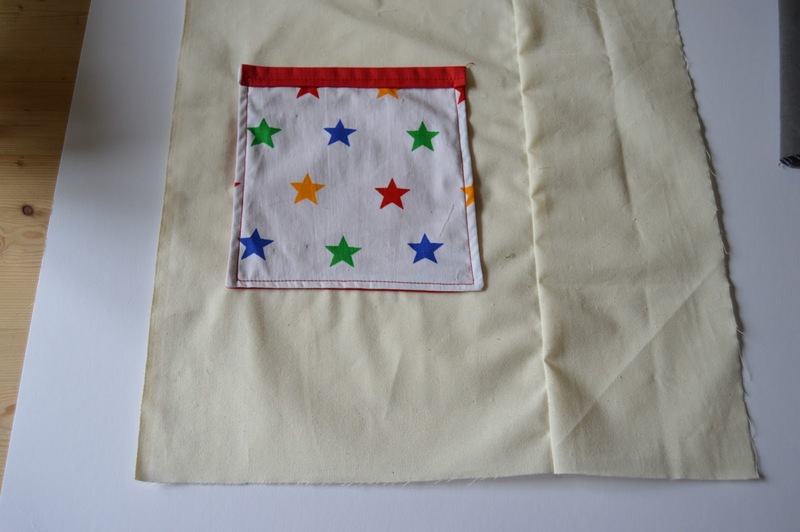 You could also add more pockets, or smaller ones under the larger ones - great opportunities for secret compartments! Next it's the flap! It should already be pinned to the backing fabric, and as we won't be turning it through it should be wrong sides facing. Sew along the curved edge using a small seam allowance, the edge of the presser foot is useful again here! Open up one fold of a length of bias binding and pin the raw edge to the curved edge of the flap. You'll have to wrangle and stretch the corners slightly to get everything to fit. You can trim off the overhanging ends or wait until after you've stitched it. 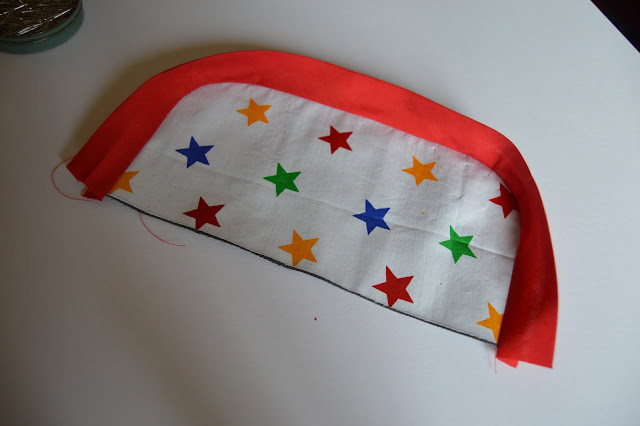 Use lots of pins, especially around the corners! 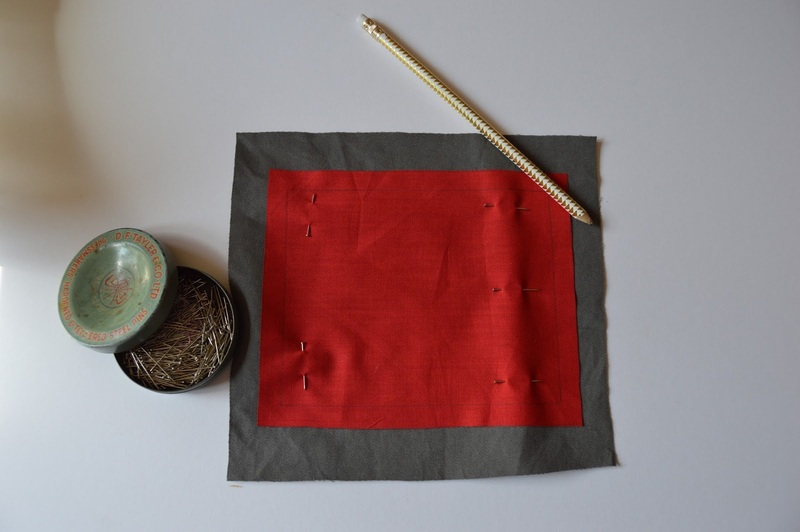 Stitch along the fold with a matching coloured thread, then re-fold along your stitched line and iron it flat. 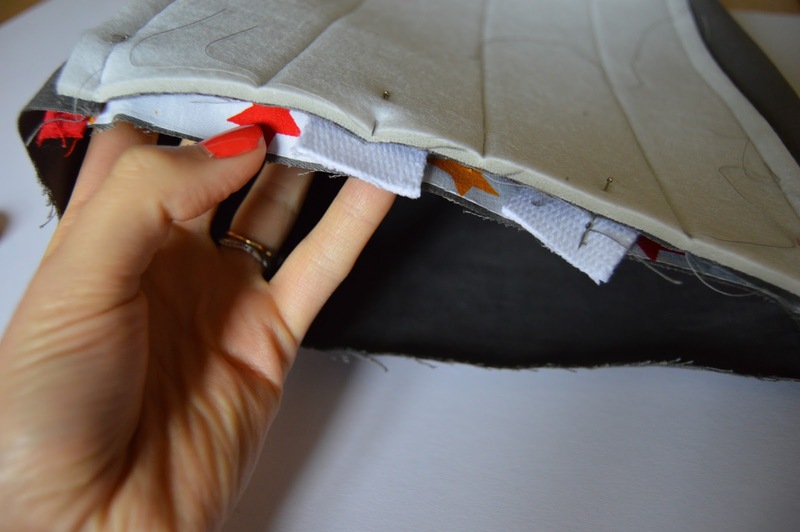 Stitch around the binding, making sure you catch the edge in all the way around. I like to do this from the front as that will be the most visible side. Now to move onto the body of the bag! 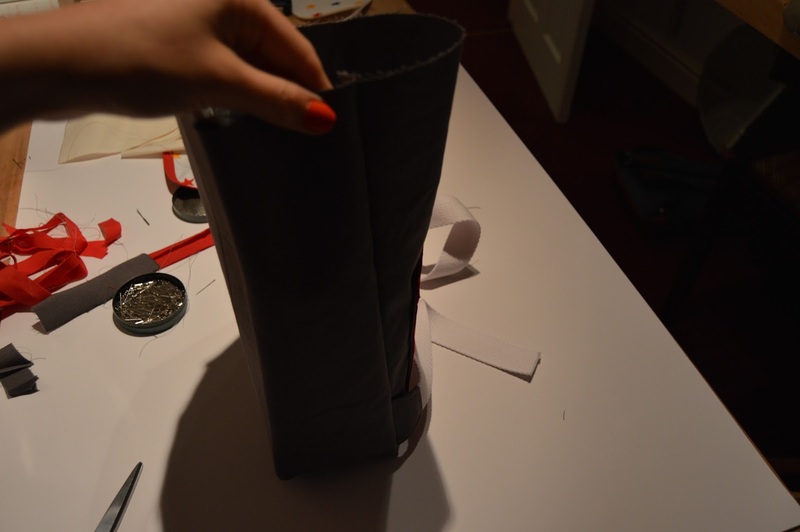 First, cut your webbing into four, two 75cm pieces and two 25cm pieces. We'll be attaching the 75cm pieces now, one piece to each rhombus shaped panel. The rhombus shapes should already be pinned right sides facing to a larger piece of canvas. 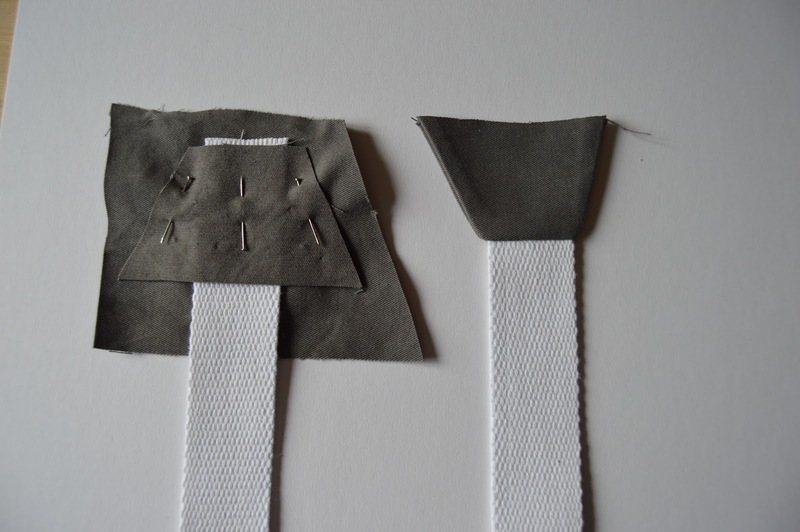 Thread the webbing between the two pieces, line up with the short side of the rhombus shape and pin in place. Next, we're going to quilt the back panel! 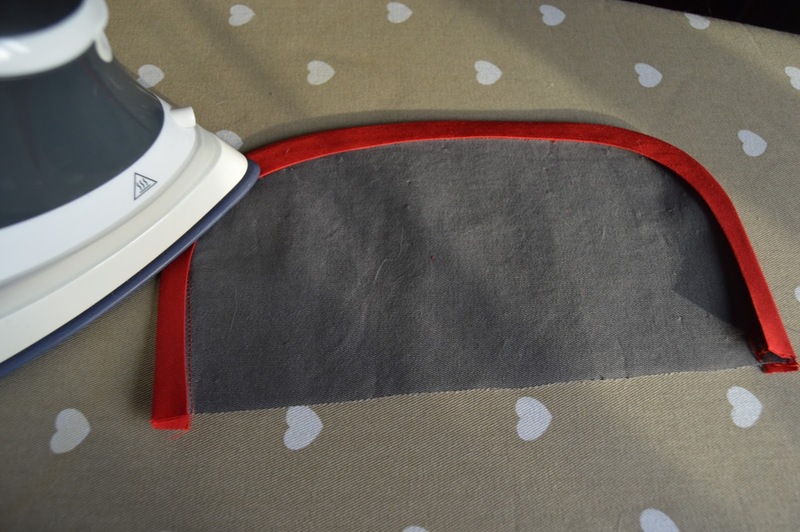 Following the instructions on your iron on stabiliser, afix it to you already cut back panel and trim it to size. 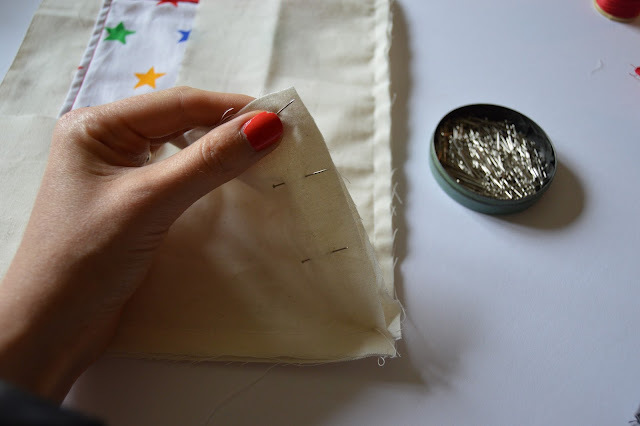 If your wadding isn't iron on, you can simply pin it in place with lots of pins, then trim it to size once it's quilted. Measure the panel, and draw a vertical line down the centre (if your wadding isn't iron on it may be easier to draw the lines before you pin the pieces together.) Do this again at 1/4 of the way across and 3/4 across so you end up with three lines that divide the back panel into four equal parts. Of course if you wanted to make a different pattern you totally could, but I found vertical lines helped to soften the back somewhat and make it sit nicely when worn. Stitch along these lines with a matching thread. 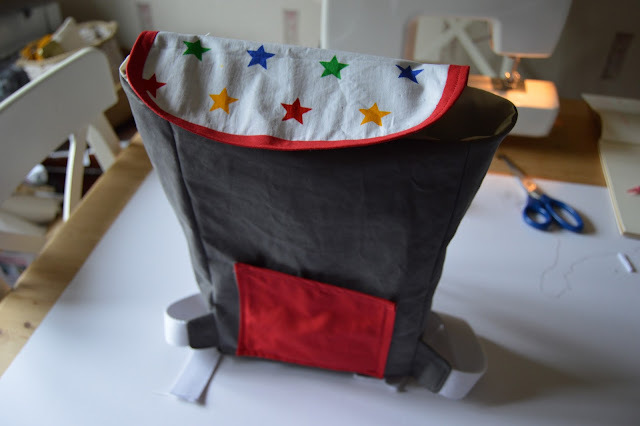 Now - I had every intention of attaching the straps to the back panel of the bag - but for some unknown reason, as the light of the day receded, so did the logical part of my brain, and I managed to attach them to the front of the bag! 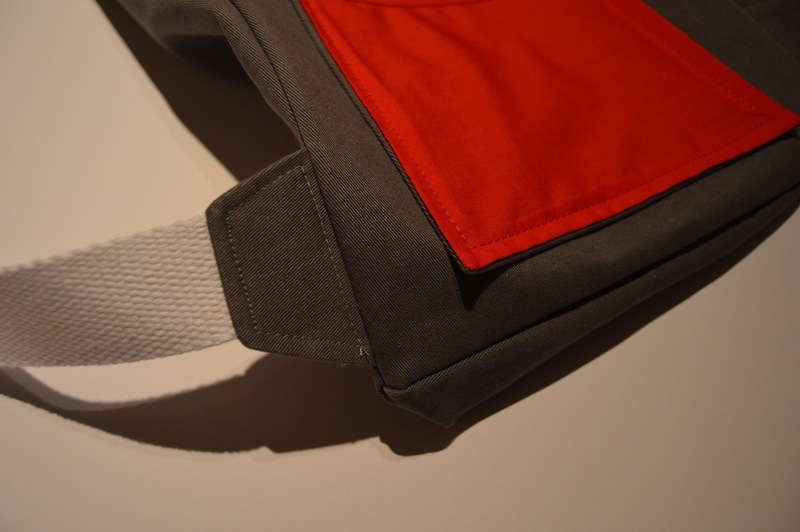 So here, you have two options - you can attach them to the front panel, and when the bag is worn the the straps will almost wrap around the sides of the bag, or you can do what I meant to do (and would recommend doing!) and replace the front panel with the back panel in the next few steps. So, pin your rhombus shaped pieces to the BACK panel of your bag, approximately 2cm from the bottom edge. 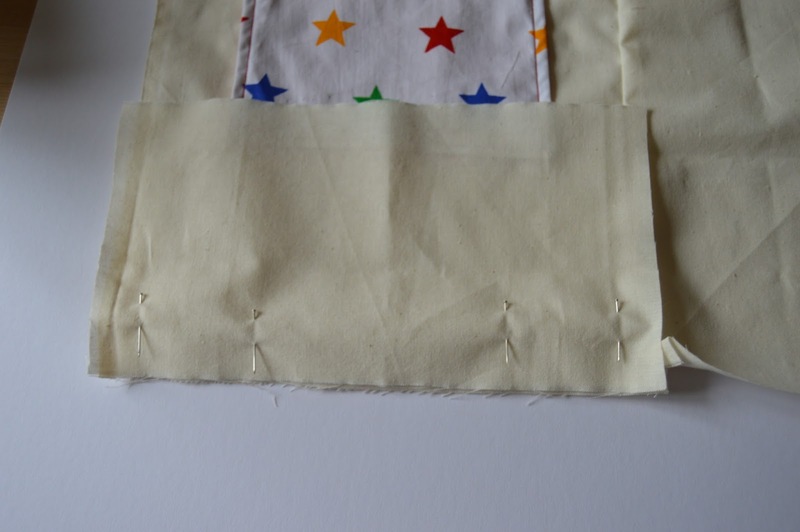 Take your gusset panel and start pinning it right sides facing to the right-hand long edge of the panel. Keep the straps well out of the way here. The next part is a little complicated, but it should make sense as you start doing it. 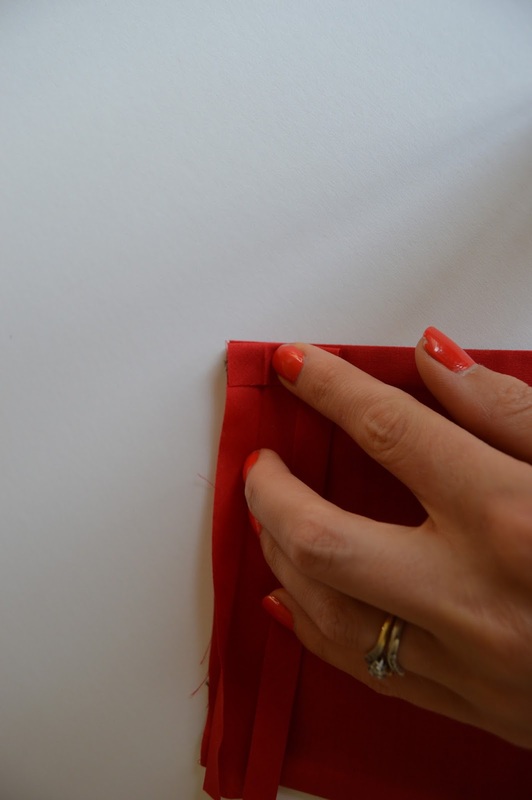 Stitch along the pinned edge with a 1cm seam allowance. 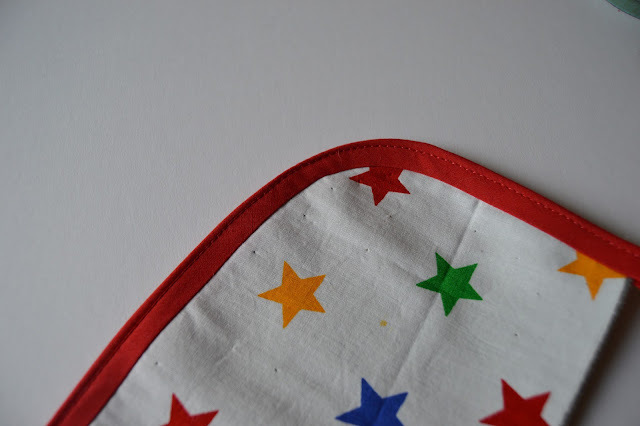 Be very careful when you stitch over the pinned strap, things will be very bulky and there will be lots of hidden pins, so stitch slowly and make sure everything stays straight. 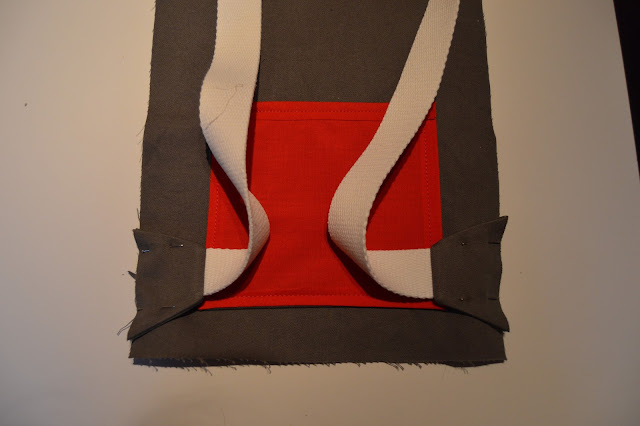 For added strength you make like to make a few backwards/forwards stitches at the points where the straps attach. 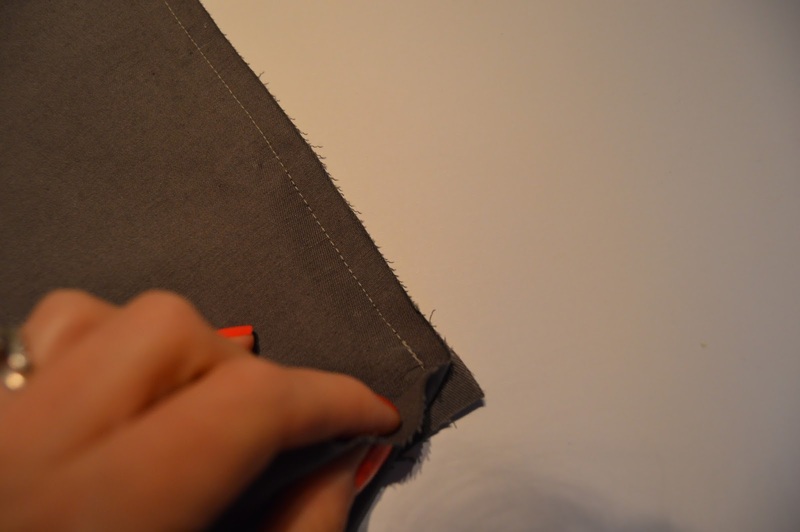 Stop when you are 1cm from the bottom edge, and finish with a few backwards stitches. Fold the gusset panel over to the right, so you create a 45 degree fold and the edge you were stitching now lies horizontally. It should almost line up with the bottom edge. 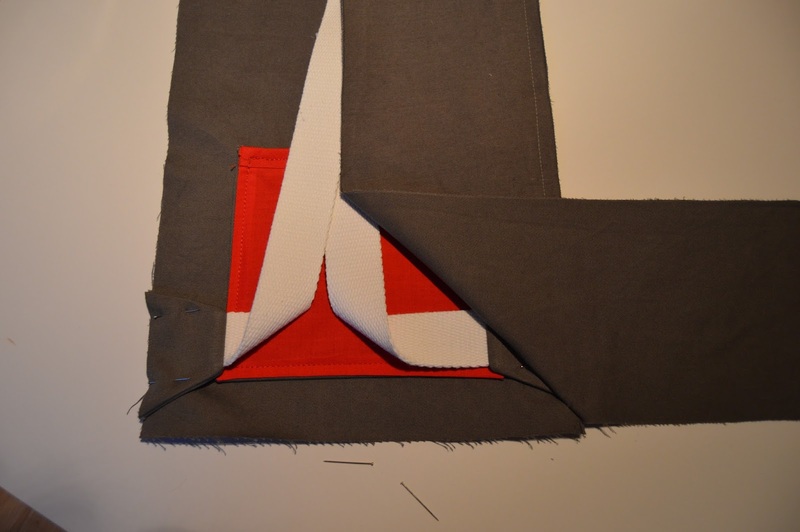 Now fold the gusset panel back over the the left, leaving the initial fold in place, so the two bottom edges line up, and pin. I thought I had photographed this step - but apparently not so hopefully it makes sense. The gusset panel should sit as shown by the dotted line in the photo. Stitch along the bottom edge, beginning at the end of the previous line of stitching (or as close to it as you can get, it will be tucked under the fold you made) Finish 1cm before you reach the opposite side. When you reach the left side of the panel, finish with a few backwards stitches, then repeat the process again this time sewing up the third side. 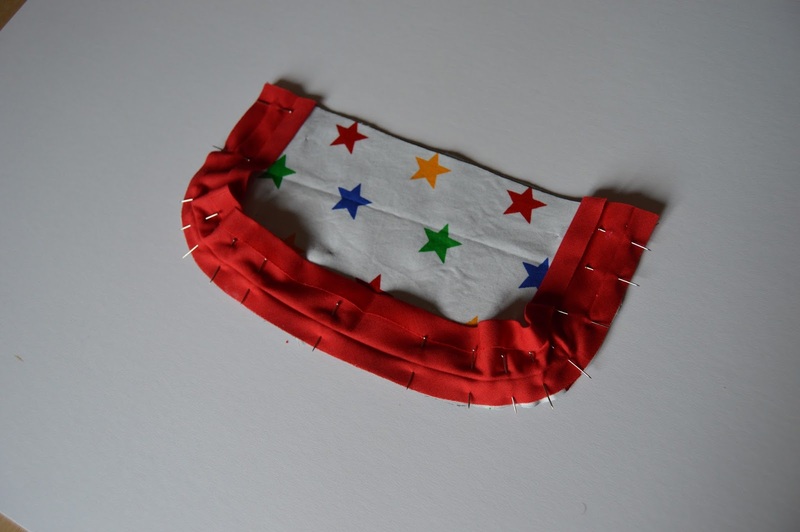 You may find you have a little extra gusset fabric - I did! Trim this away, then turn right sides out to check your corners -they should be nice and neat. While you have the bag the right way round, top stitch around the rhombus shaped pieces. This adds a little more strength and makes the whole thing look more professional. 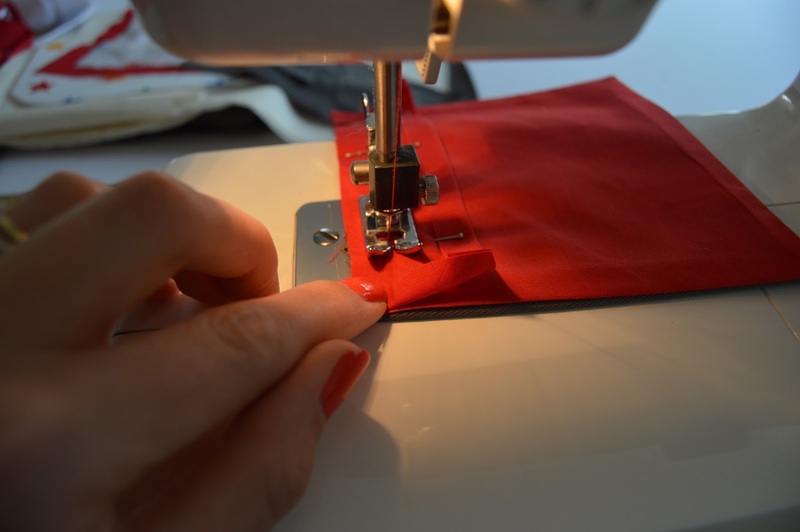 Be sure to keep the straps out of the way while you sew, and if the fabric wants to fold or pucker which it may do at the corners, try to organise it so these folds occur on the gusset panel rather than the front/back panels. 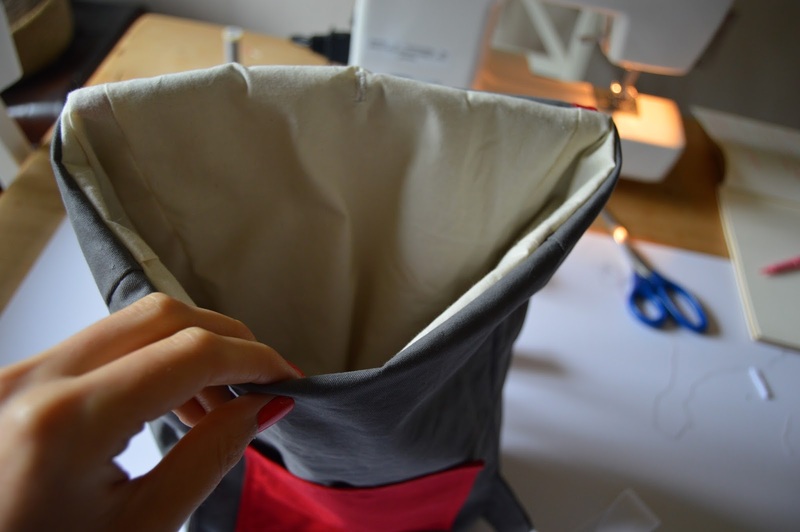 Trim the top if you have any extra fabric. It should be starting to look like a bag! You can see more clearly here the mistake I made - the straps should be attached between the back and sides, rather than the front and the sides! Next - we're going to put the lining together! 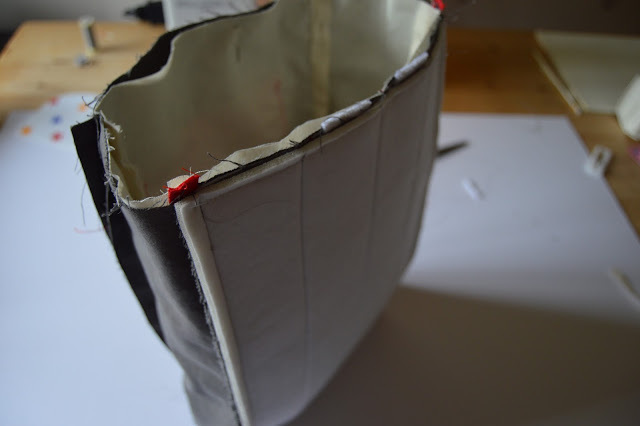 Take one of your long lining pieces and pin right sides together to one long edge of a lining panel (it doesn't matter which here, but I started with the front. Do make sure you have the piece with the pocket the right way round so you don't end up with an upside down internal pocket). 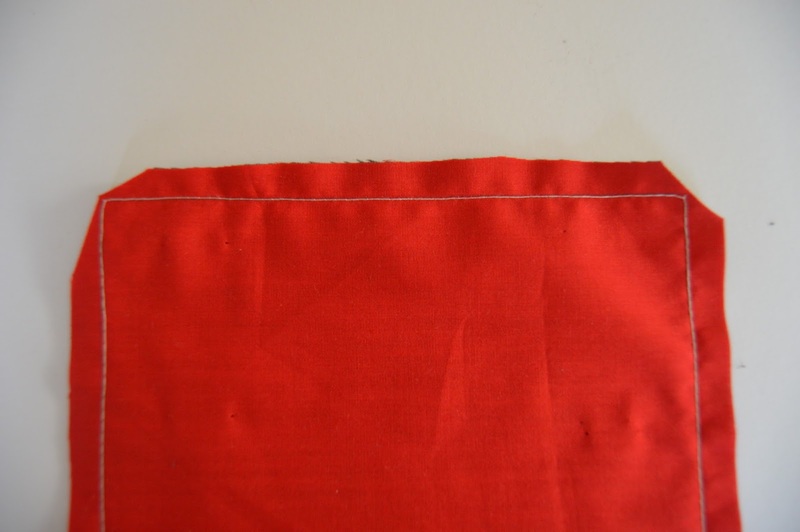 Stitch using a 1cm seam allowance, stopping around 1cm from the bottom edge. Open the side panel out, and line up the short section of gusset fabric along the bottom edge, right sides facing. You'll need to lift up the corner of the side panel so you can line the bottom piece up right to the edge. Pin this in place. 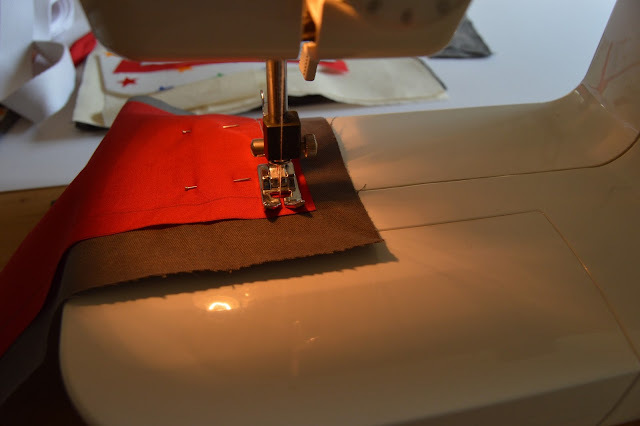 To make sure you get a continuous line of stitching around all three sides, you'll need to start stitching as close as possible to where you left off. I find it easiest to put the fabric under the presser foot, and fold the edge of the bottom panel back so you can see exactly where you need to start stitching. 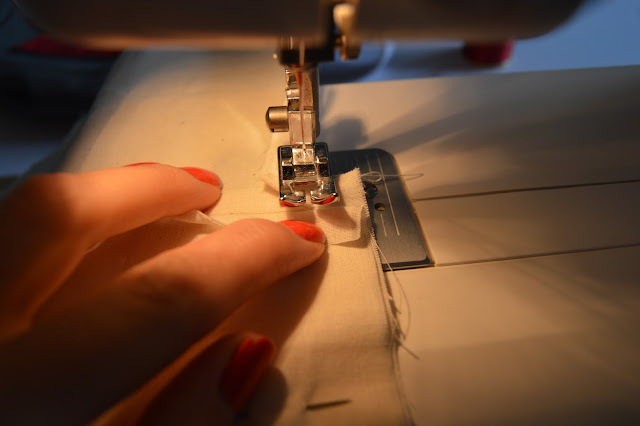 Use the hand wheel to lower the needle to check that the first stitch will begin the the right place, then holding the fabric firmly in place, raise the needle again, fold the corner of the bottom panel back, then lower the presser foot and start stitching. Stop 1cm before the end as before. 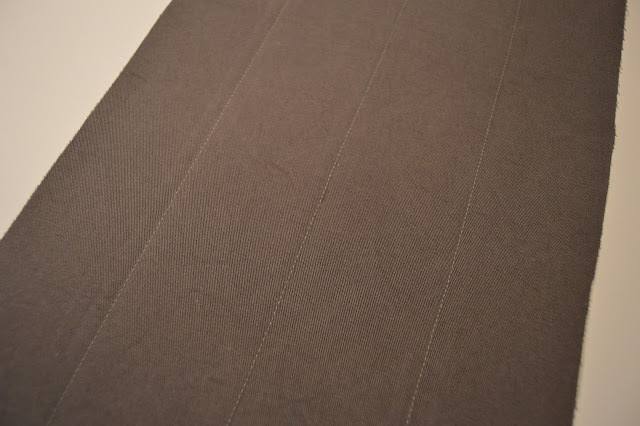 Bring the short edges of the side and bottom panels together, and you should be able to see how the corners of the lining come together. 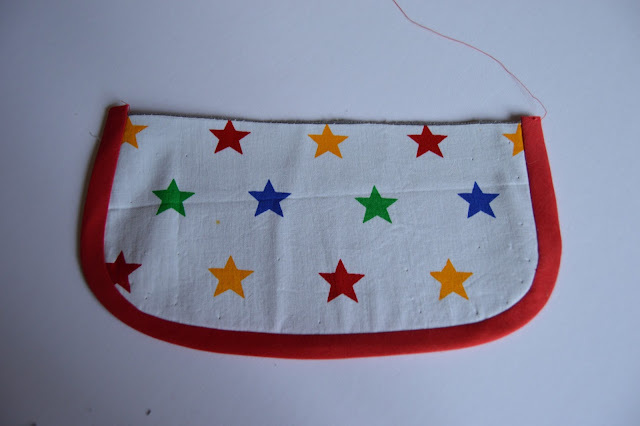 Pin the two short edges together, then carefully stitch. 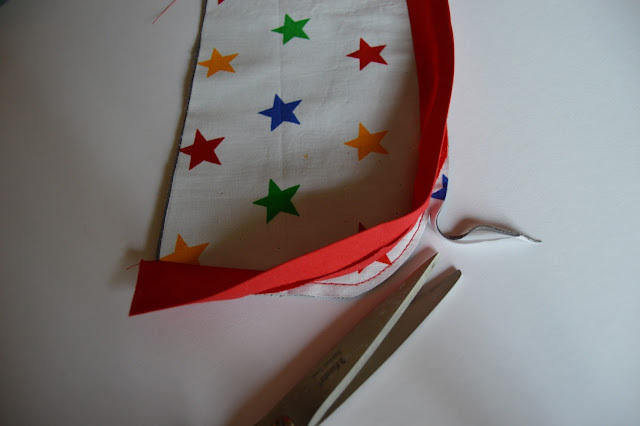 When you get close to the corner make sure you've folded the rest of the fabric out of the way so you don't catch anything you shouldn't be sewing! Do exactly the same steps for the second long side. 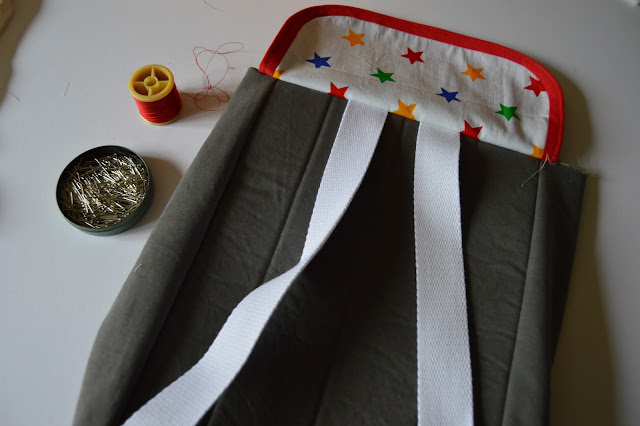 When you're ready to attach the back panel, the steps are the same, except when you come to attach it to the bottom panel do not sew all the way along!! 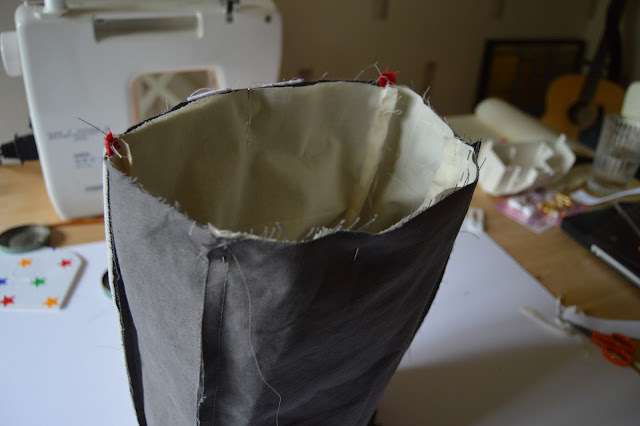 We need a hole in the lining to turn the bag through in a few steps time. Start stitching at each corner but only sew about two inches along from each. When you're all done you should have a second bag that looks identical to the grey one, but with a large hole in the bottom! Now for the button hole which will be used to feed the ends of the drawstring through later. 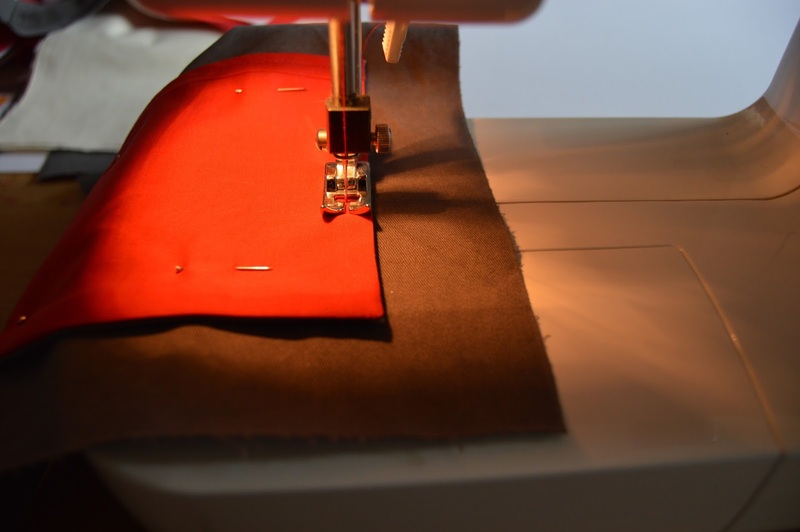 If you don't have a button hole foot on your machine you could cut a small hole and hand stitch around it, or insert an eyelet. 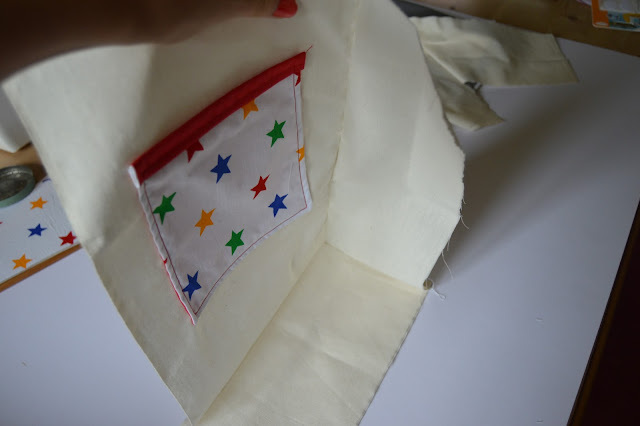 First decided which way round your lining will go in your bag, and decide if you want the drawstring on the back edge or front edge of the opening. 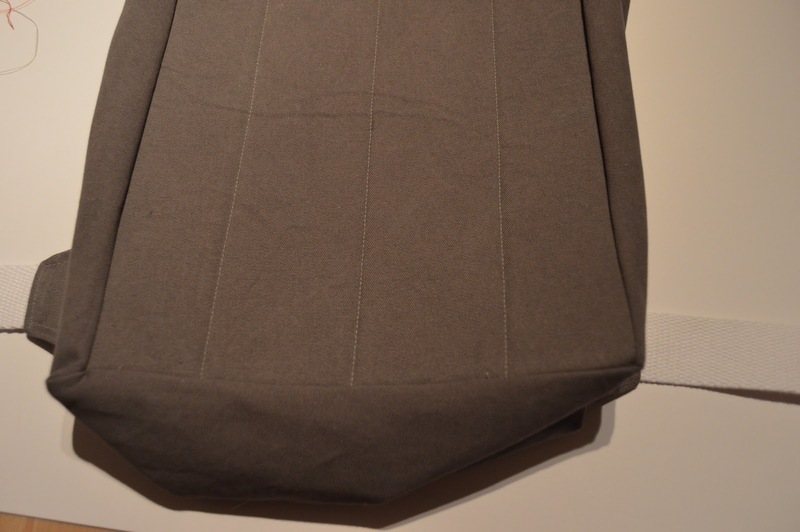 I decided to have the internal pocket on the front edge of the bag, and the drawstring on the back side of the bag, so I marked my button hole on the panel which did not have the pocket. Mark a line 1cm down from the top of your lining. 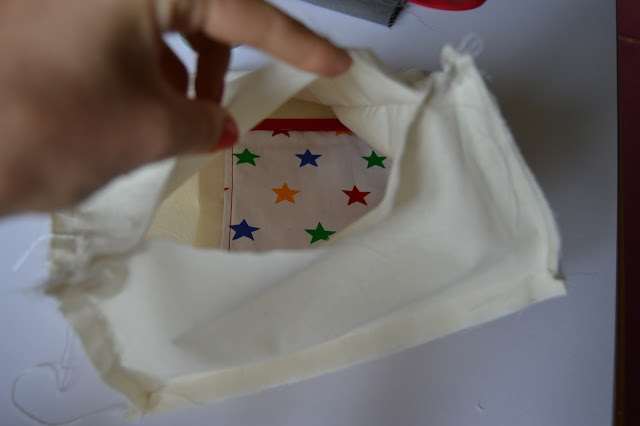 This will be the point the lining is stitched to the outer bag so see this as the top edge of your bag. 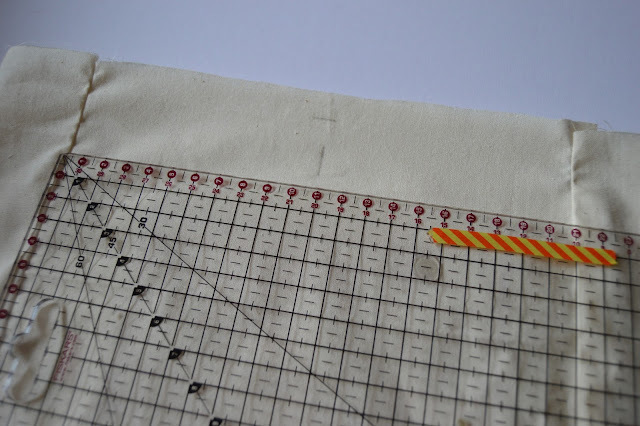 Now mark a point half way along the width of the lining panel, around 1cm away from your seam line. This will be your button hole. 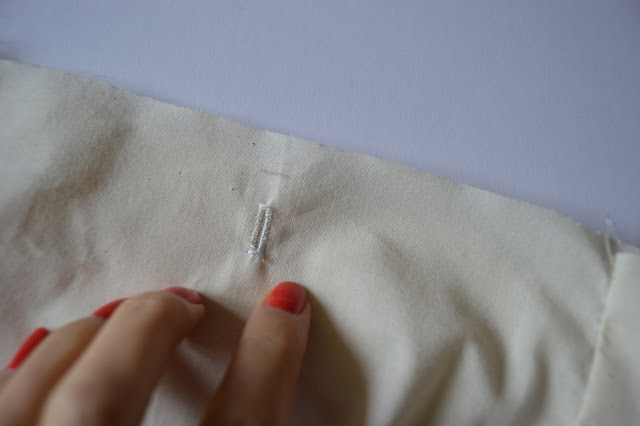 Make a short button hole, and use some small scissors to cut it open. Now we need to join all the parts together! Nearly finished! This part frazzled my brain a little as there are a lot of layers to get in the right order. 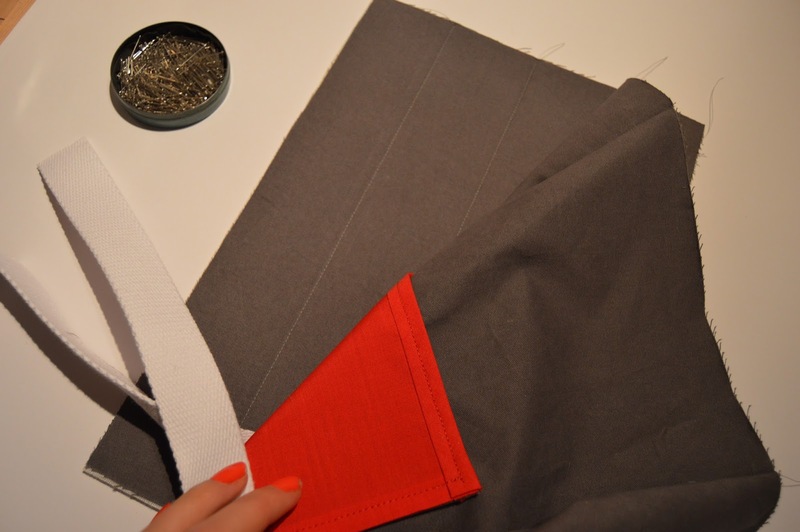 You need to attach the two short pieces of webbing, and the flap to the back side of the bag. Turn your outer bag inside out if it isn't already. 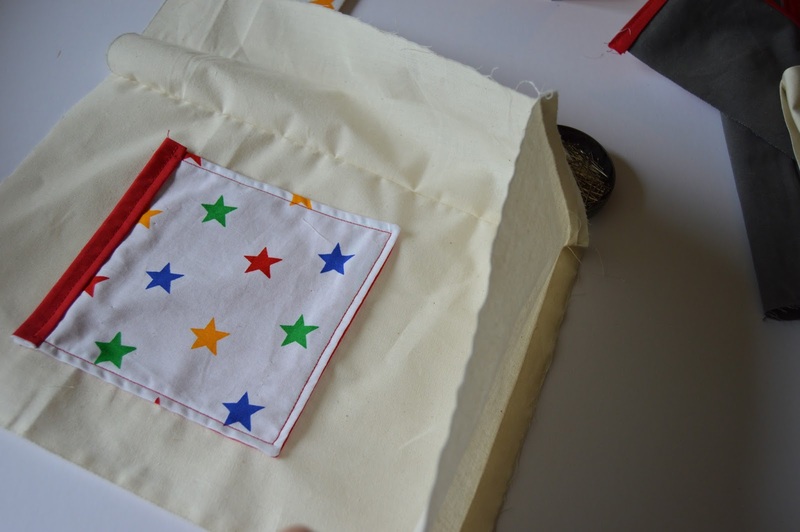 Find the middle point of the bag (which should be easy thanks to the quilting) and pin a piece of strap equally spaced either side of this point, making sure to feed the length of the strap inside the bag so it doesn't get caught up and stitched somewhere it shouldn't be! Now pin the flap right side facing on top of the straps, making sure to line it up equally and keep things as central as possible. So you should have a sandwich situation, with the back of the bag and the flap right sides facing, and the two straps in the middle! 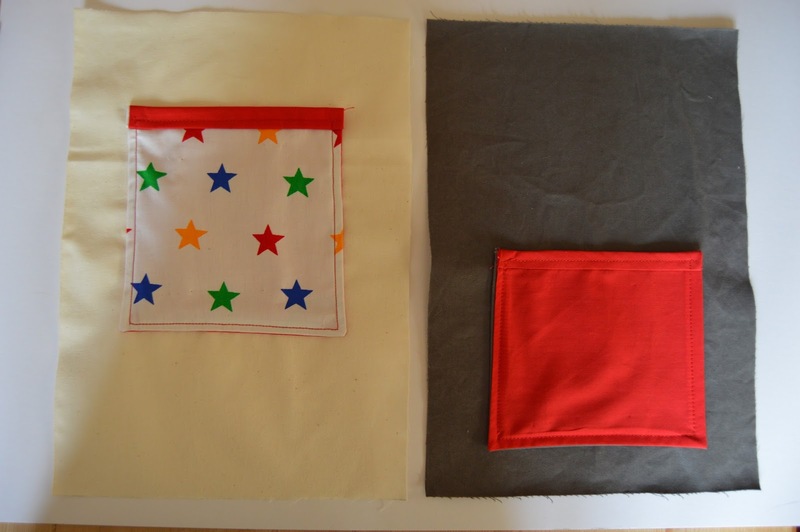 Sew these all together as close to the edge as you can. 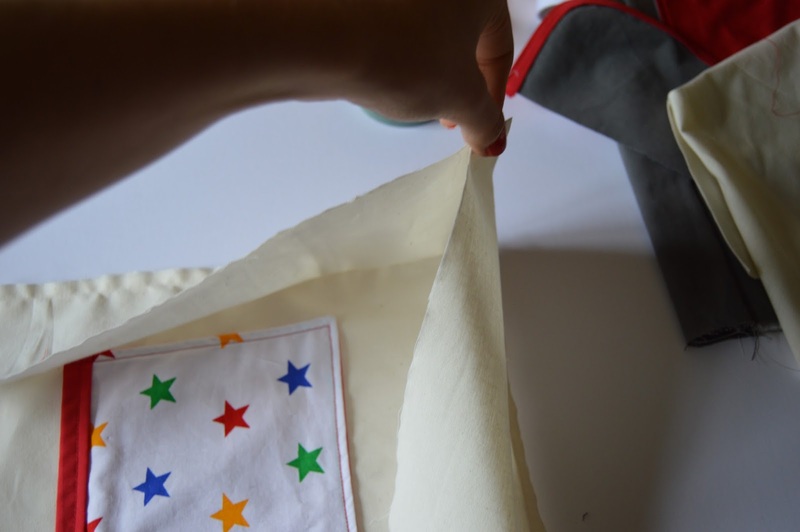 Turn the bag the right way round and check the flap and straps are in the right order. It should be beginning to resemble functioning bag - wahoo! Now turn the bag inside out again. Make sure your lining is right side out, and place it inside the outer bag. This feels completely wrong, but as long as you remember to keep the right sides facing, it will all work out ok - promise! 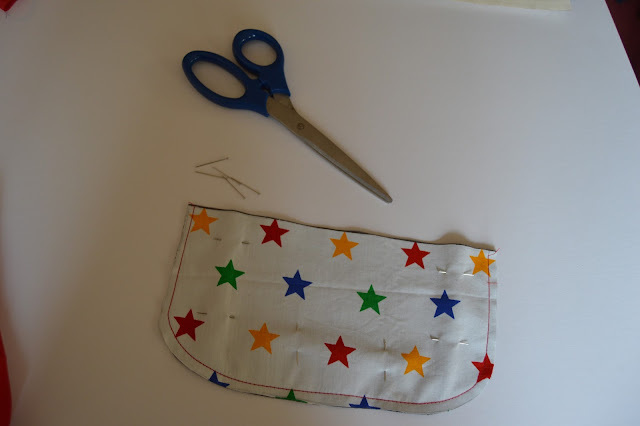 Make sure you've put it in the right way round - it doesn't really matter but make sure the pocket and button hole are where you wanted them to be. 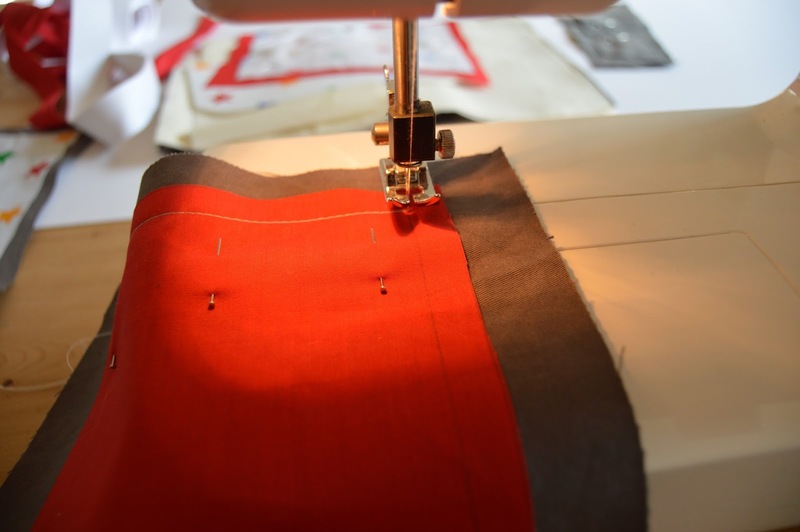 Pin all the way round the edge, making sure the gusset seams line up as much as possible. 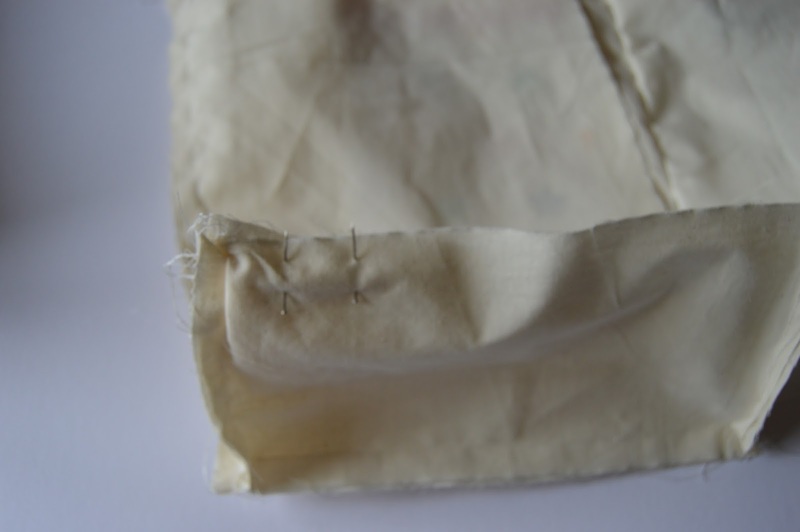 Starting at a seam, slowly sew all the way around the top of the bag with a 1cm seam. I took the box bit (which I'm sure has a real name) off the front of my machine to give myself bit more room to manoeuvre the bag around. Once you get all the way around, finish with a few backwards stitches. Pull the lining out of the bag and you should find that, all being well, the whole thing is now inside out and you have a hole in the lining to turn everything through! Carefully turn the bag the right way round through the hole. Push the lining back inside the bag and do a little dance because you've almost made a real-life back pack!! Stay tuned for Part Three - Finishing next week! If you missed part one and would like to join in you can find it here. 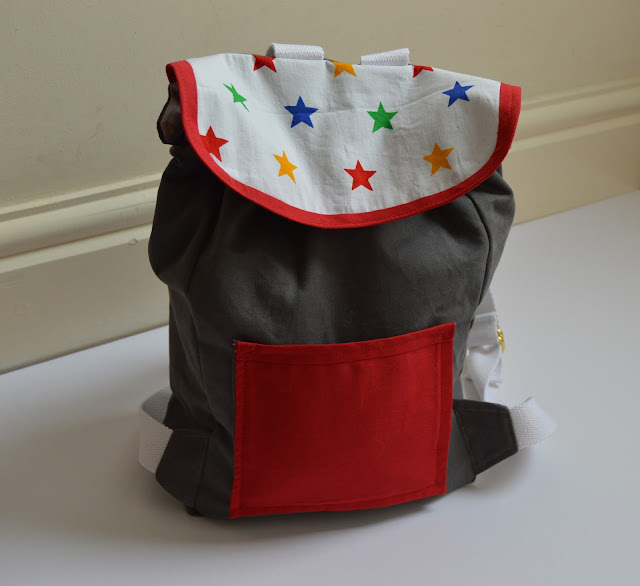 I hope you're enjoying the sew along - I can't wait to see some finished bags at the end!